"I moved here in 2012 with Mickey and his older sister. It is only the three of us. We did not have any resources back then nor do we have any support now until we received a call about the Flutie Foundation and this amazing chance to help Michael." Michael is 18 years old and relies on voice commands and a multitude of apps to communicate with his teachers, speech therapist, support staff, and classmates. However, once the school day came to an end, Michael would find himself unable to express himself effectively in his own home. 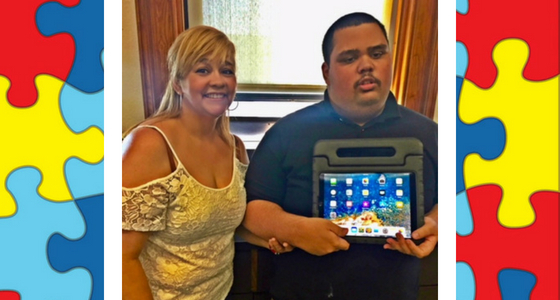 That is until recently when Michael received a Joey’s Fund grant to purchase his own iPad with assistive technology apps to converse with people anywhere he goes. This means Michael can keep learning and playing an active role at home with his mom and his sister as well as outside in the greater community. Since 2012, Joey’s Fund has granted over $325,000 to 195 families. The Fund honors Josephine Gay who lost her life at Sandy Hook Elementary School. Although Joey couldn’t verbalize her thoughts, her voice filled every room she set foot in and touched the lives of everyone around her. Joey’s Fund strives to help offset the financial burden so many families face while caring for a loved one with autism. This year, we are thrilled to grant money to 38 families to help them attend camp, participate in recreation programs, receive specialized therapies, and purchase sensory equipment. Families affected by autism want what every family wants for their loved ones to be healthy, to learn, enjoy friendships, work, to live fully. Too often they struggle to find and afford effective interventions that will make all the difference throughout their loved one’s journey. 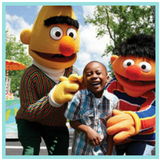 Visit our website to see how our programs are supporting families.